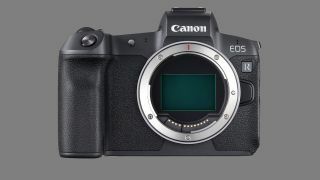 The Canon EOS R was warmly received when it launched in October, though there were a few limitations that users – perhaps optimistically – hoped would be upgraded with the first firmware release. Things like Eye Detection with Servo AF seemed like a reasonable addition, or perhaps adjusting the sensitivity of the M-Fn bar, even if tackling the banding issue or adding a 120fps option while shooting at 1080p seemed a bit hopeful. It feels churlish to call anything barebones when it makes some important fixes. However, after the recent Sony firmware brought massive improvements, there was genuine hope among EOS R users that Servo AF Eye Detection if nothing else would be patched in. Why should you update your camera's firmware?